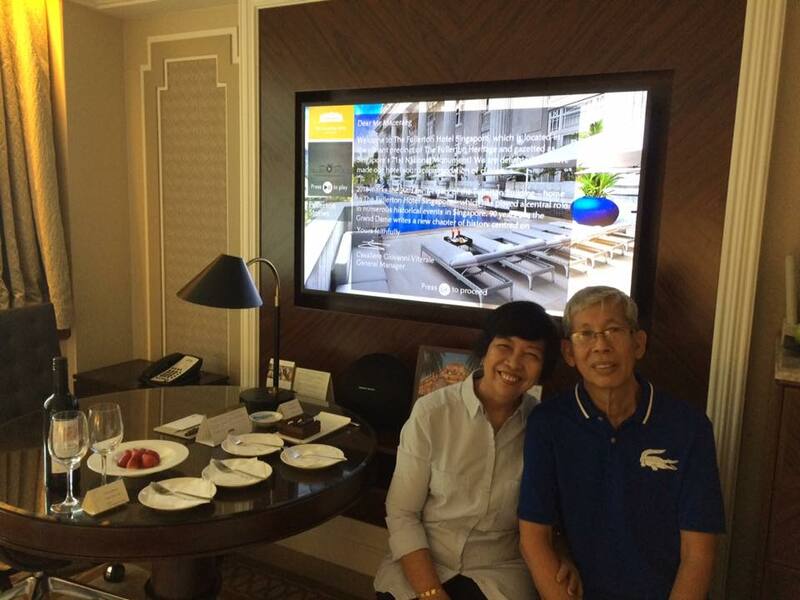 My parents and (our big baby) Thirdy visited us this summer, very timely also for my Papa's birthday and their wedding anniversary. We were planning to do a quick weekend getaway outside the island but my passport is expiring soon! Good thing, I checked our passports before I booked anything. 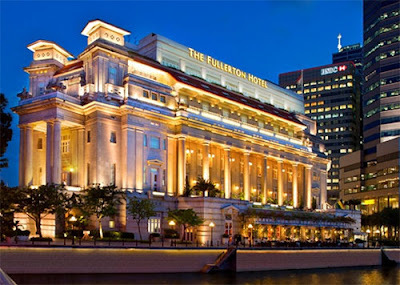 So we went with our reliable celebration place, The Fullerton Hotel. We first stayed at Fullerton for our boyfriend/girlfriend anniversary last year and we were highly impressed! 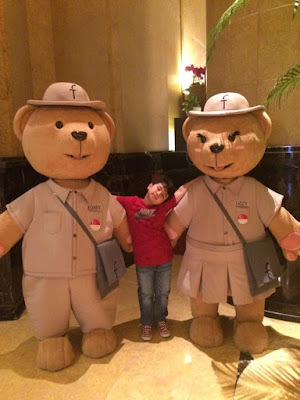 They were very accommodating and very child friendly! From a complete toiletry kit for Jatty to a free ice cream and art kit to keep him busy during our stay. We booked two postmaster rooms through their official website, after comparisons from booking.com and agoda.com, booking directly came out cheaper. Upon our check in, I informed them that we're celebrating my parent's wedding anniversary and then, they also took note that my papa's birthday the following week too. 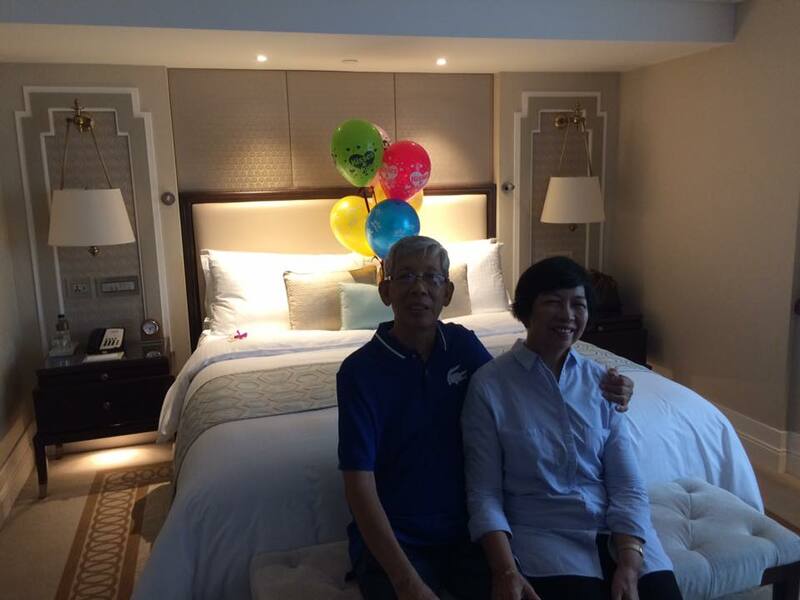 Their room have a bottle of wine, chocolate cake and strawberries and there's balloons on the bed too. Our room check in was a bit delayed, good thing, my parents' room was provided at 2pm so we stayed there for awhile. Due to the delay, they provided a late check out at 2pm. Thirdy stayed with us and we were pleasantly surprised that his breakfast and extra bed are free of charge! 😊 Hotels usually charge extra for breakfast when kids are above 7. 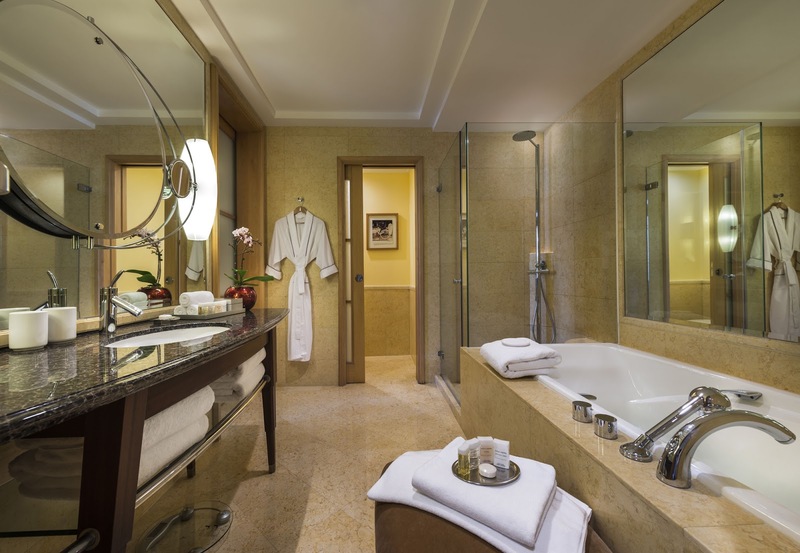 My favorite part of the room is the bathroom, the spacious bath tub and separate shower make a big difference for me and my bathroom hoarder husband. And the enclosed toilet and hi-tech features! If you're staying in Fullerton Hotel, I highly recommend the complimentary heritage tour and don't forget to watch the video stories of the hotel and the people who used to work when it was still a government office and a waterboat house. You can watch on their TV or online -- The Fullerton Heritage :) I always watch it whenever we stay there,very heartwarming and nostalgic.